“Circles” conjures up two images: a large, plain ring when observed from afar and an intricate set of non concentric circles when seen close up, where one circle is sitting inside the other creating a sort of spiral. Remote inspirations: the small ripples made by a stone thrown into water or the cross section of a mysterious Nautilus shell but, above all, the monumental sculpture of Richard Serra. 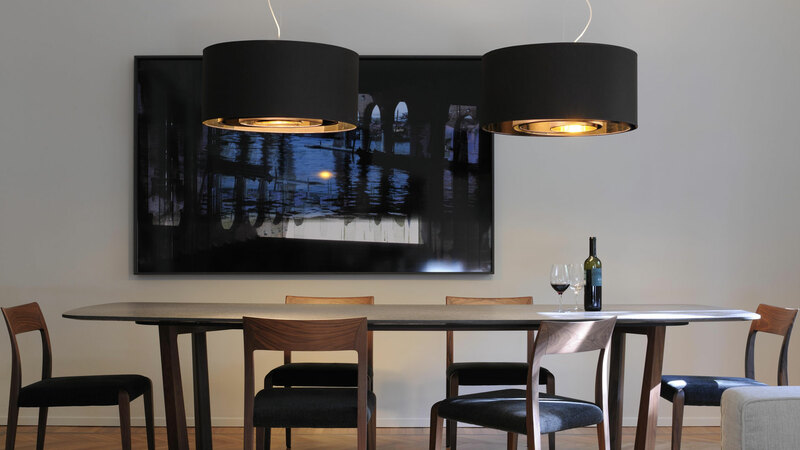 “Circles” is seen from its best angle when it is suspended above a dinner table and its fabric casing creates an utterly “homely” atmosphere. 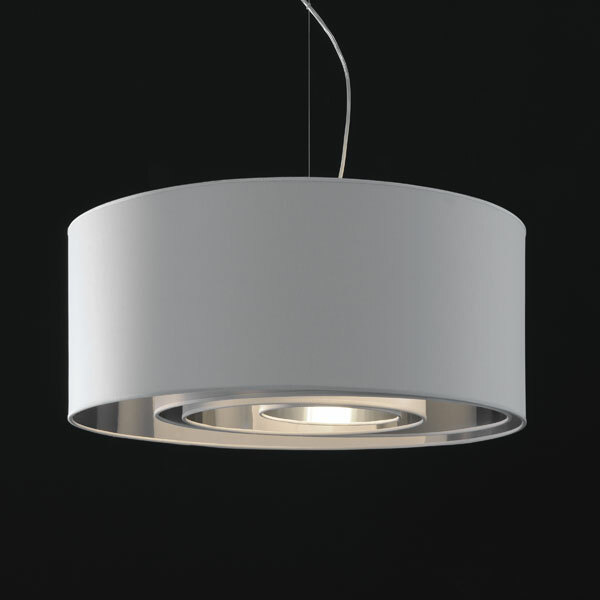 Suspension lamp giving direct or diffused light. 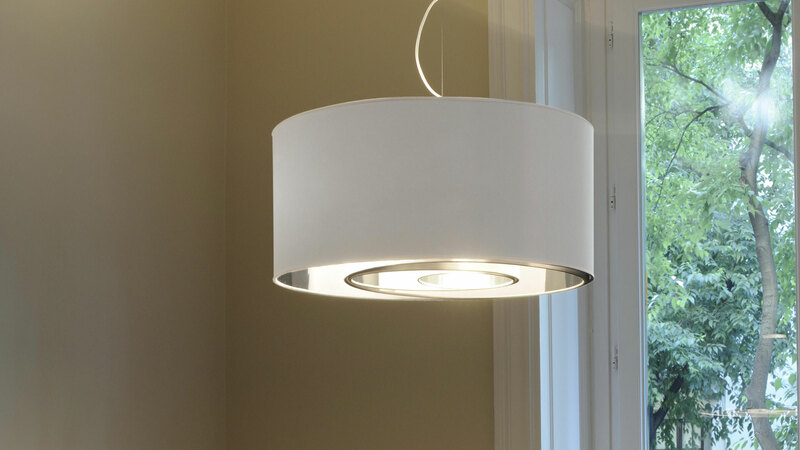 Light fixture composed by 4 cylinders in different diameters in reflecting or diffusing laminated textile.